This might be the quietest week of the month and still there’s plenty of action on the jazz scene, starting tonight with a rare weekend gig with How Birds Work and the close-out of the Capri’s Legends series with Debbie Duncan saluting Johnny Mercer. The AQ splits the weekend between Birds and Source Code, guaranteeing a focus on edgy, creative, accessible modern jazz. Tonight (6/4), it’s How Birds Work. And normally they work a weeknight each month at the AQ. The band boasts top musicians in each corner—pianist Peter Schimke who is on the road so much these days we hardly get a chance to enjoy his versatile elegance at the keyboard; guitar virtuoso Dean Granros; one of the true adventurers in jazz bass, Chris Bates; and the always-congenial host and percussion dynamo, Kenny Horst. At their most recent AQ gig, Kenny noted that the band had never sounded better. Come hear for yourself. And come back Saturday night (6/5) to explore sonic wonders with internationally heeled drummer Eric Kamau Gravatt and his long-standing Source Code ensemble. 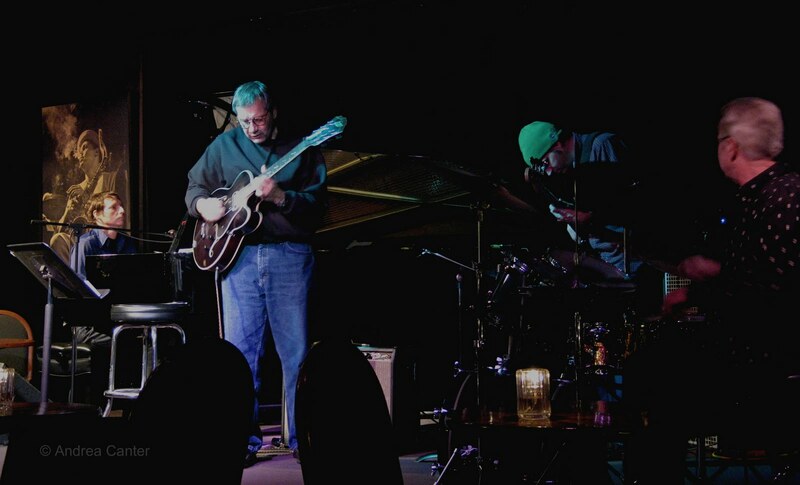 Gravatt has been long associated with piano legend McCoy Tyner, both early in his career and over the past decade. So you know, this has to be the real McCoy, right? Eric’s compatriots typically include local sax great Jim Marentic, bassist Ron Evaniuk and trombonist David Leigh. Often it’s Mikkel Romstand on piano. Veterans all. Across town in north Minneapolis, mistress of all things jazzy and songful, Debbie Duncan brings the songs of Johnny Mercer to life as the Capri Theater closes the season on its Legends series tonight (6/4). If the song has a good lyric, often Johnny Mercer is behind it. And if Debbie is behind the lyrics, you are guaranteed a high value for both artistry and entertainment. Mary Louise Knutson adds to that value with her eloquence on piano. The weekend also features the New Standards at the Dakota (6/4-6/5), one of the most interesting iterations of jazz and modern music. Chan Poling, John Munson and Steve Roehm form the unusual piano/bass/vibes ensemble, given to reworking pop and rock classics with a minimalist jazz sensibility and a dollop of old fashioned rock n’ roll. 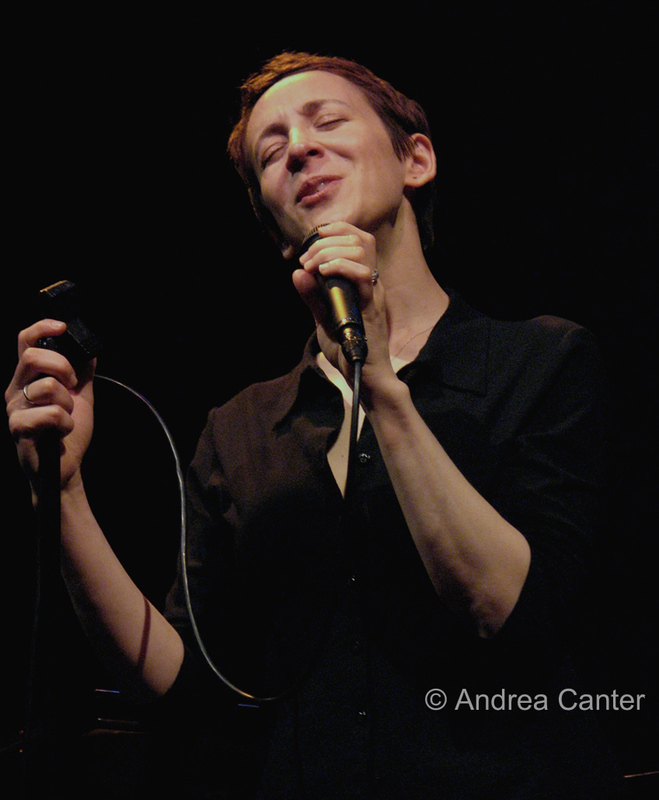 The international star on our horizon this week is Stacey Kent, the British songbird who is long overdue for a return to the Twin Cities. Kent with husband/saxman Jim Tomlinson and our own rhythm-setting duo of Gordy Johnson and Phil Hey will be at the Dakota June 7-8, celebrating Stacey’s new all-French recording, Reconte-Moi. And note that Gordy and Phil are not merely the local team, they are Stacey’s American team, their duties including gigs at Birdland last winter. One of the young kingpins of jazz piano in the Twin Cities, Tanner Taylor holds two consecutive Wednesday nights of jam and guests at the Artists Quarter. This week (6/9) he brings on trombone master of many idioms, Dave Graf. Tanner can do anything with a keyboard, and the same can be said of Graf and his instrument—from trad and swing to Mulligan Stew and Salsa del Sol. Should keep the AQ’s smoke detectors on red alert! Other gigs of interest, vocally speaking: Charmin (Michelle) and (Joel) Shapira at the Edina Art Fair tonight (6/4); Sophia Shorai at Barbette (6/4); Katie Gearty’s Jazz Trio at Honey (6/4); Lucia Newell with the Laura Caviani Trio at Crave in the Galleria (6/4); Erin Schwab at Hell’s Kitchen (6/4); Christine Rosholt with the Tanner Taylor Trio at St. Anthony Main (6/5); Charmin Michelle at Cinema Ballroom (6/6) and Fireside Pizza with Denny Malmberg (6/7; 6/9); Russ Peterson’s Big Band with Maud Hixson and Bob Glenn at the Old Log Theater (6/7); Rachel Holder at Hell’s Kitchen (6/8); Nichola Miller and the Tanner Taylor Trio at the St. Anthony Park Library (6/8); Alex Cuba at the Dakota (6/9); Arne Fogel at Hell’s Kitchen (6/10); Maud Hixson at Erte (6/10). And instrumentally speaking, the week includes Milo Fine and his Free Jazz Ensemble at the tiny West Bank School of Music concert space (6/4); Fantastic Fridays at the Black Dog (6/4); the Twin Cities Hot Club at Sea Change at the Guthrie (6/4) and at Hell’s Kitchen (6/5); the Zacc Harris Trio, Saturday Brunch at Hell’s Kitchen (6/5) and their usual gig at the Riverview Wine Bar (6/6); Lulu’s Playground (with Adam Meckler) at Honey (6/5); Gordy Johnson and Tommy O’Donnell at Roman Anthony’s in White Bear (6/5); the Enormous Quartet at Café Maude (6/5); Cory Wong Quartet opening for the Tuesday Night Band at the AQ (6/8); the Wolverines at Hell’s Kitchen (6/9); and the Dave Karr Quartet at the AQ (6/9). And don’t forget, something fun will be happening at the Clown Lounge, usually Fat Kid Wednesdays on Monday nights and other experimental music specialists on Tuesday nights.